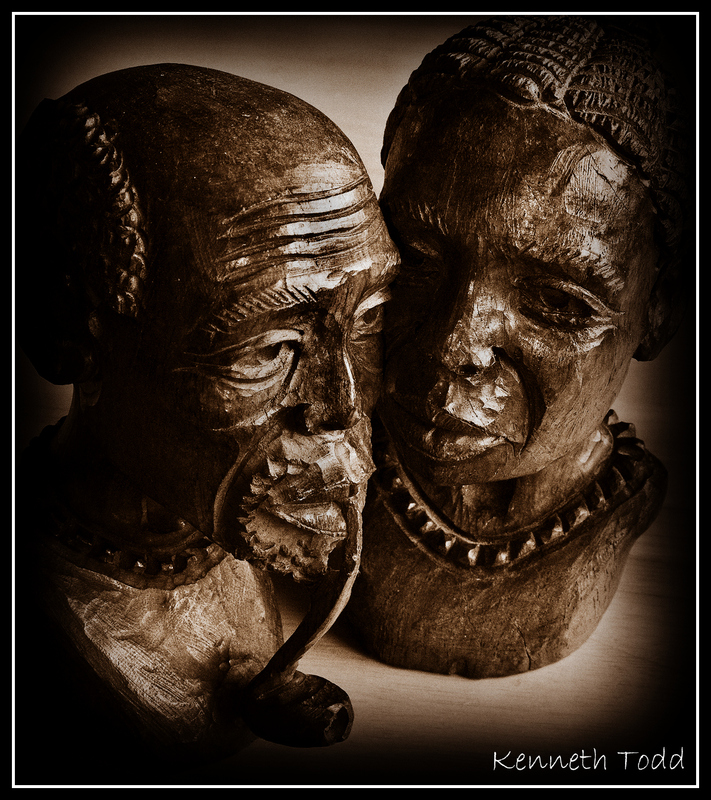 I took this shot of 2 wood carvings I had bought in South Africa a few years ago. After I set them up and took a couple of shots, I suddenly realized that it looked like the women had whispered something to the older man and he was contemplating the wise response, whilst she waited in anticipation. To me it “speaks” directly to one of my favorite quotes at the moment. This is from a course in miracles: “If you knew who walks beside you on this path that you have chosen, fear would be impossible”. So powerful to me. I also love the part “on this path that you have chosen”, as that sort of removes the victim mentality from our “problems” and allows us to take some form of responsibility and / or acceptance. Also remember….. I am giving away a FREE iPod shuffle to a random blog reader on March 31 (this is the last day of entering). Why? I have no idea. I am just doing it. It came to me after a recent meditation…:-). I get so many visits, likes and comments from people, which is pretty humbling for me, so I just want to give something back I guess. The best way for me to “control” it, is as follows. Just go “like” my Facebook page (link below), I will then get a random number generator off the internet and then pick the name that corresponds to that number. So good luck. Just beautiful, both the photograph and the context. Too often I forget that passage from ACIM. Thanks for reminding me. We really have nothing to fear. This is good stuff, Kenneth. And the photograph says precisely what you think it says. Very interesting, indeed! Very earthy and simple… beautiful and yet full of power. the second I saw the photo i went WOW !! LOVE IT!! I like most what you said about responsibility for one’s path vs the victimization response…..so true! Beautiful figures + I love the composition, the evocative relationship of whispering and wisdom. Then my thoughts went to the light. Did you create the frame with a vignette? Will you share more of your process? Sure. Even though I shot this using a tri-pod and cable release, I still opened in Photoshop – increased in contrast slightly and did sharpening (Unsharp Mask – twice). Usually doing it twice you get more noise and lose quality, but with wooden carved images like this, it actually helps. I also added a slight vignette there too. I then further edited in Picnik which is essentially Picassa from Google. I changed from color to Sepia tone and added another vignette. Added frame and signature. Pretty quick and easy. I use Picnik a lot for this 365 project as is very quick. Hope that helps. Glad you liked it. It was for me yesterday too. Very inspirational photograph and article.